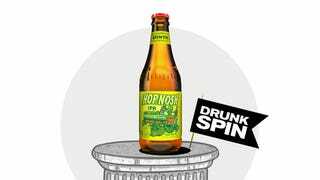 Yesterday’s Drunkspin featured a glowing beer review tucked inside a dire forecast for the future of smaller craft brewers. Drawing on some Thrillist thing, my own dumb hunches, and the history of American capitalism, I guessed that 3,500 breweries is too damn many, and that a whole lot of them are going to have to expand, sell out, find a specialty niche, or die. In the ensuing comment-section action, someone from Indianapolis claimed to live within 10 miles of two dozen breweries. I know Indianapolis is a big city, but that still struck me as preposterous. I don’t think I’ve had a single beer from the state of Indiana. Sure, I’m just one sheltered guy, but Indianapolis doesn’t tend to come up on the ubiquitous “20 Best American Beer Cities” lists. But I’ll be damned if the guy wasn’t right. It’s time to stop being surprised by any expansion-related beer news; there are just tons of breweries all over the place now, and three new ones will likely be business-planned, if not already kegging the fourth version of their single-hop white IPA, by the time you finish reading this sentence. Things have gotten so bonkers it seems perfectly reasonable that highly acclaimed Anchorage Brewing Company beers have started popping up 3,365 miles away in Boston. While we have a long tradition of importing macro-brewed beers from around the world, it still strikes me as fanciful that a little operation in Alaska bothers to ship their beer all the way out here. I’ve yet to take the plunge on the pricey Anchorage offerings—I’m sure the beer’s good, but I’m fearful I’d also be paying for Alaska’s notoriously high cost of doing business, plus all that shipping—but I’ve been meaning to orient my beerhole in a more westerly direction lately, so I was excited to finally try Unita’s Hop Nosh IPA last week. Uinta is in Salt Lake City, which would be a curious location for America’s 38th-largest craft brewery, if there were still any such thing as a curious location for a brewery. Utah has lots of affluent white people, which is a great start for anyone looking to sell beer, but there’s a catch, in that 62 percent of them adhere to a religion that prohibits alcohol. Therefore Utah is last in the nation in annual per-capita beer consumption, at a meager 19.5 gallons (156 pints) per legal adult. But Uinta (pronounced “You-in-ta” and named for a local mountain range) still managed to grow big enough to ship their stuff out to the sloppier states, which is a damn fine thing for the rest of us. Hop Nosh opens with a sweet pine aroma atop rich orange and peach notes. There’s a touch of black pepper on the palate, along with a quick flash of mint (weird but true!) and just enough caramel malt to keep things on the up-and-up. The finish is drier than the aroma suggests, which adds a welcome touch of complexity. It’s hard to call an unadulterated straight-line IPA “unique,” even if it’s made in the least likely state, but Hop Nosh is far more nuanced than the majority of its peers. It’s just outright better than most, too.